Looking for the nicest baby albino sulcata tortoise for sale in the USA? You’ve found them! We have some gorgeous and very active TOP QUALITY (we do not carry b or c stock Albino Sulcata tortoises!) 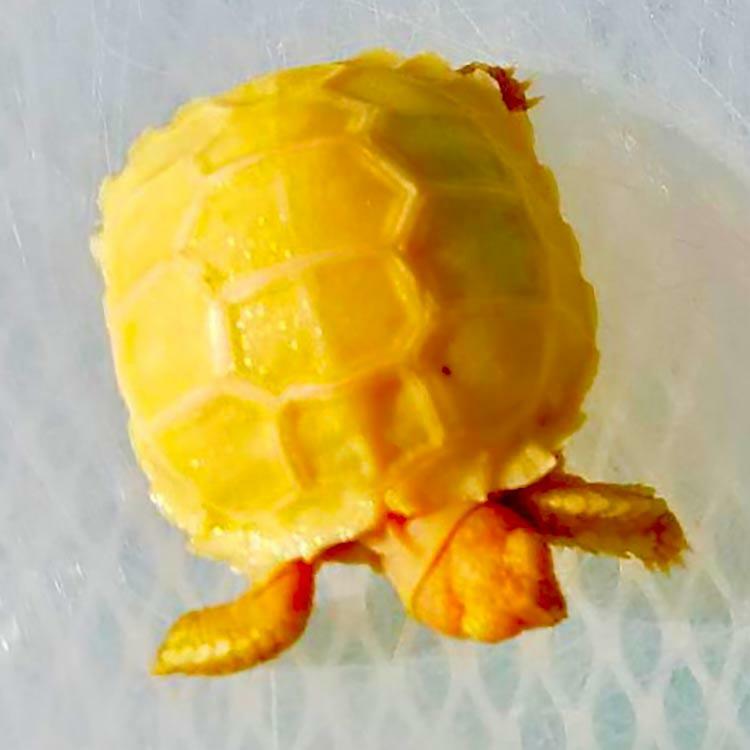 If you’re looking to buy baby sulcata tortoises for sale (baby albino African spur thighed tortoise for sale) you have come to the right place! These super cute albino african spur thighed tortoises are eating like pigs and growing fast. For those inexperienced with tortoises we do recommend the well started baby albino sulcata tortoise for sale, as they are much easier to care for and substantially more active. We also offer well started baby sulcata tortoises for sale as well as yearling juveniles and young adults available from the drop down age selector. We do recommend the well started babies over the albino sulcata tortoise hatchlings, as they are much more active and easier to care for but still are very small and cute. Once grown, the baby Sulcata Tortoise make great pet tortoises and are known for their outgoing personalities and friendly nature. The Albino African Spurred tortoise grow fast and are relatively easy to care for. 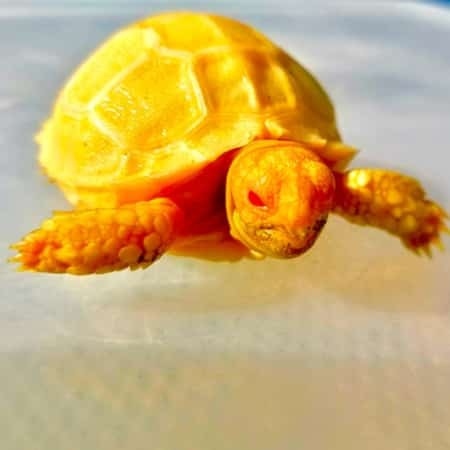 Our Albino Sulcata Tortoise hatchlings for sale are just about 1.75-2″ in length offer vibrant color and are extremely healthy, fed a variety of greens, cactus and tortoise chow as well as being soaked daily. We also offer the regular well started baby sulcata tortoise for sale, as well as juvenile spur-thighed tortoises for sale and adults sulcata tortoises including the ivory sulcata tortoise. If you’re considering an ivory sulcata tortoise for sale, check them out here. It is imperative that you choose a reputable tortoise breeder/keeper when purchasing your baby albino Sulcata tortoise (remember you get what you pay for!) We are proud to say we offer some of the nicest albino African spur-thighed tortoise for sale available in the US at some of the best prices! With a BIOLOGIST ON SITE, our albino Sulcata / African Spurred tortoise for sale are top notch and ship to you via UPS or FedEx Overnight in heated or cooled insulated shipping containers. Once shipped, packages leave here at 7pm and arrive at your doorstep before 11am. One shipping charge covers up to 4 baby tortoises for sale. At tortoise town, we pride ourselves on selling only top notch tortoises, all coming with our live arrival and full 7 day health guaranteed, ready to ship to you via FedEx Overnight in heated insulated boxes. One shipping charge covers a single tortoise for sale but also up to 4 tortoises for sale for one low price. Tortoise town is your source for the nicest albino African Sulcata tortoises for sale in the USA! cb hatchling 2", cb well started baby 2.25-2.5", cb juvenile 3.25-4", cb young adult 7-12"